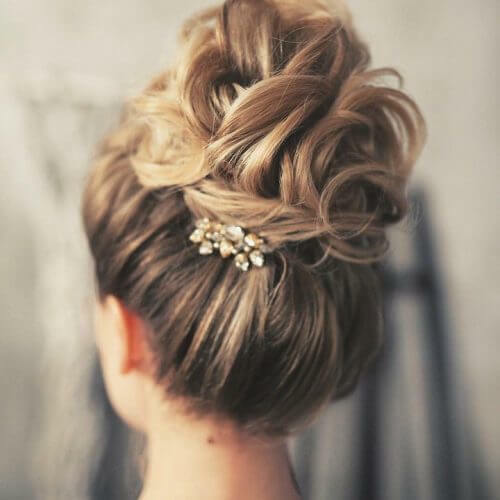 The hair up course is perfect for anyone looking to up their skills in this type of styling. The outline of this course has been carefully constructed to provide the perfect levels of knowledge and skill which will enable you to creatively dress long hair. The techniques will provide an all-round knowledge of modern, bridal and vintage Hair Up styles for those special occasions. If you choose to take the Hair Up course at Chill Out Beauty Training, you will gain an industry recognised certificate from Chill Out Spa Training & Enterprise. This certificate will enable you to begin performing hair up treatments on clients. You don’t need to have previous experience in hairdressing to take this course. When you attend, you will need to wear salon appropriate clothing. You must pay this course in full at the point of booking. Refunds are not given unless you give a cancellation notice 7 days before the course is due to start. For the price of the course, you will be provided with all of the necessary equipment to use during training, including blocks with real hair. This course lasts for one day, from 10am until 4pm. It was really relaxed always options to ask questions and the tutor was fab! Another session arranged as I was unable to attend during term time. I learnt so much, simple techniques, friendly & knowledgeable tutor. Amazing! Also use of fresh flowers. Loved it, Michelle thank you so much! The amount and techniques we learnt. Michelle was an amazing tutor, so friendly and helpful. Very informative, I felt I learnt more than I ever expected, couldn’t be happier. Learning all of the different styles. Michelle is amazing! Break down of everything and seeing how simple it can be. Michelle is really patient and explains everything thoroughly. Learning different looks and techniques. Michelle is amazing – lots of knowledge. I learnt so much and became confident in hair ups.